It was getting late for dinner and I haven't cooked anything yet. I was busy doing chore and doing stuffs online. I planned on having whatever left over food we had from yesterday. Then one of my kids suggested going out for dinner. I wasn't going to buy his idea because I didn't want to spend any money. He then told me that his teacher gave him a pizza coupon for reaching the reading goal in a month. My other son showed his coupons too. They were both entitled to received a pan size pizza from Pizza Hut. It was a program to encourage the children to have passion for reading. So, off we went to pizza land. We ordered cheese bread sticks and 2 liters of root beer mug soda while waiting for our pizza. All in all we only spent less than $8.00. Our stomach were full and we had a great time. 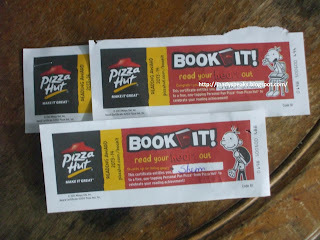 To find out more about the program, click this, Pizza Hut Book It Program. Kudos to my kids for a job well-done. Keep on reading! They do not have this promotion in my area. I think it is great for Pizza Hut to do this to encourage kids to do well in school. that's a good way to exchange kids on studying harder in school. at least they will strive for a higher grades and pizza hut is also good too. LOL! Our girl was been bringing the same coupons and the last time that we redeemed her coupon, I spent $40.00 as we can't just eat the personal size pizza, it's too small for us. :) We ordered large meat lovers, salads, drinks and honey bbq wings. That program is really a great motivation for every student. That was nice of them to read enough to earn coupons to take you to dinner! I always loved the Book It program. I was in it, my kids were in and I'm glad to see it still around and hopefully for years and years to come. 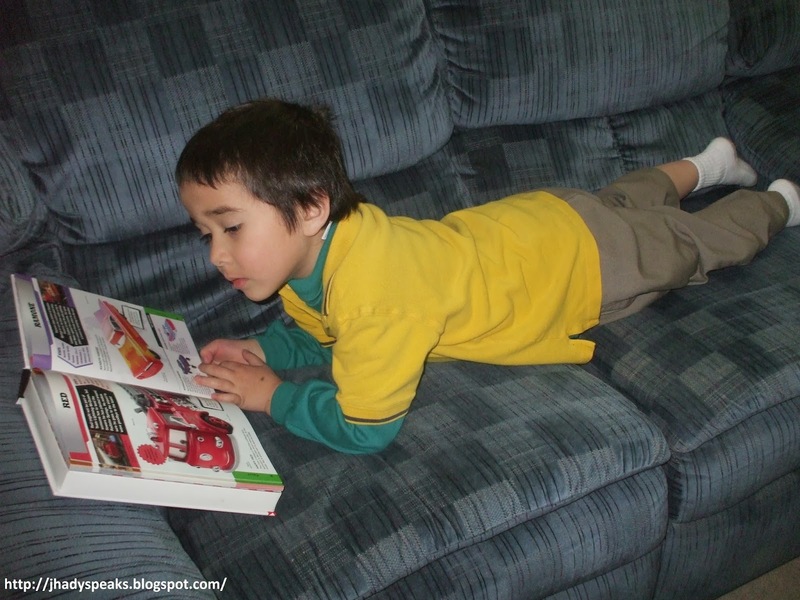 Great incentive to get kids to read and actual book! In my children's school, it is only offered to Kindergarten class. Family pizza hut dinner treated by the kids is a perfect way to have dinner. I love that program. Even though my kids are not into this program anymore, we still love to read books.